Nuts not only have fantastic nutritional value, but they bring distinctive flavours to your burger; the toasted almond flavour in these crunchy walnut and almond burgers really stands out. 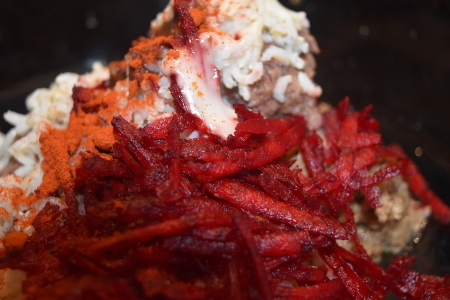 The fantastic crunch that these nuts also bring really makes this burger special. The inspiration for this recipe came from Tasty Vegetarian’s vegan burger – although this produced a good patty, I found that a lot of the flavours were lost, so I’ve changed and increased quantities certain spices and seasonings, and added almonds. With this patty, one of the most important things to watch out for is texture. Because we’re blending nuts, it takes more pulses in the food processor than softer ingredients (eg chickpeas) to achieve a finer consistency. 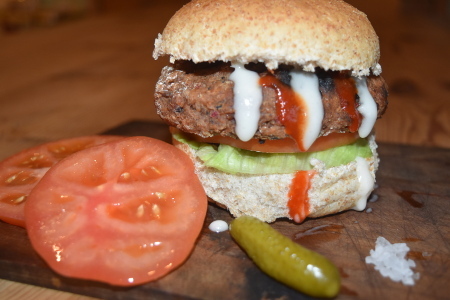 That said, you’re in control; the crunchier you want your burger, the less time you need to blend it for – just make sure that with larger chunks that you add a couple of minutes to the initial frying time of the nut and mushroom mixture. Allergens: Nuts (walnuts and almonds), and gluten (soy and flour). 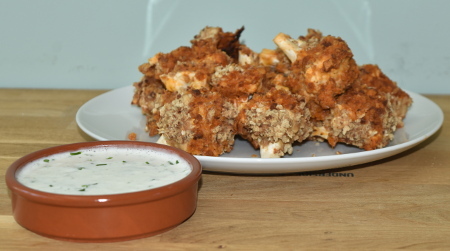 Replacing soy with tamari and the plain flour with gluten free flour makes this recipe gluten free. If cooking on a barbecue with a lid, heat to 180°C (356°F). Otherwise, hot coals will do just fine. Place the walnuts, almonds and mushrooms into a blender and pulse until a course mixture is formed – the almonds should be approximately halved. Put 1tbsp of the vegetable oil into a frying pan, and place it on a high heat. Place the nutty mushroom mixture into the pan and fry for around ten minutes, adding the soy sauce and cumin after five minutes. Once cooked, move the mixture into a large bowl. Put the other 1tbsp of vegetable oil into a fresh frying pan on a high heat. Add the onions and fry until softened, then add the garlic, tomato purée, salt and pepper. Cook all together for a further five minutes. Place the drained black beans in a food processor with the onion mixture, and pulse until a chunky paste is formed. Then add this mixture to the large bowl and combine with the nutty mushroom mixture. Mix in the rice, beetroot, tamarind and paprika. Add the flour last to bind the burger mixture together. Using your hands, shape the mixture into patties. If the mixture is too sticky, use some more flour to coat the outside of the burgers. 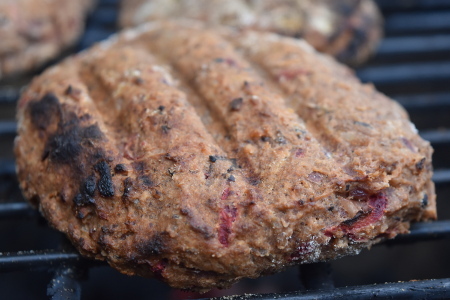 Cook the patties on the barbecue for fifteen minutes in total – seven and a half minutes on each side. Serve with whatever you like! 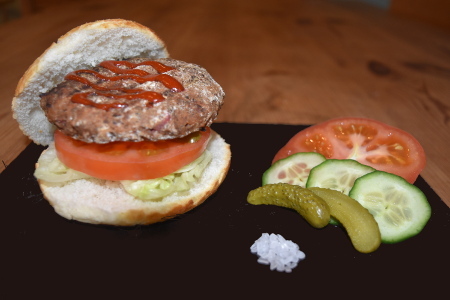 We put lettuce, cucumber tomato and gherkins in our crunchy walnut and almond burgers, and topped it off with some vegan mayo and Sriracha sauce, all within a tiger bread bun – yum!